I’m always critical of bad car reviews. Here’s me trying not to be a hypocrite. A friend of mine picked up one of the first Subaru BRZ’s in North Carolina last month and he was gracious enough to let me tag along and drive it for a few minutes. This won’t be a complete in-depth review because I wasn’t about to flog my friend’s brand new car. If you’re trying to find out about at-the-limit performance characteristics, read/watch one of the professional media reviews where they beat on a nameless press car. There are plenty of them here on this blog. I’ll be talking more about the philosophy and execution of the car and what kind of buyers it’ll be suited for. The Scion FRS/Subaru BRZ/Toyota GT-86 is supposed to be the spiritual successor of the Toyota AE86 (Corolla GT-S Sport RWD here in the US) which I’ve owned one for the last 10 years, so we’ll see if both cars are cut from the same cloth. Hopefully Subaru/Toyota did a great job of modernizing a cult classic. Here’s a hypothetical situation that hopefully doesn’t seem too outlandish. Lets say you’re a young professional who is making good money and are looking to reward yourself by buying a new car. You’ve been a car guy/girl your whole life, so you want something sporty that’s nicer than an economy car with aftermarket coilovers. Lets take it one step farther and say you’re also very intelligent and socially aware, so you know what we’ve covered in Part 1 and Part 2 of why we should consider driving electric cars and you’d like to find personal transportation that’s not motivated by the combustion of fossil fuels. Where does that leave you? As of this writing, there are two middle class affordable mass production electric cars available for purchase at a dealership: the Nissan Leaf and the Chevy Volt. I went to my local dealerships as our hypothetical car shopper to see what the buying experience for these electric cars would be like. I wanted to find out about the stuff that went beyond the sales brochure. How much did all the options add to the base price of the car? What kind of maintenance intervals would they have? What are the charger options? What kind of work can I do to the car myself? 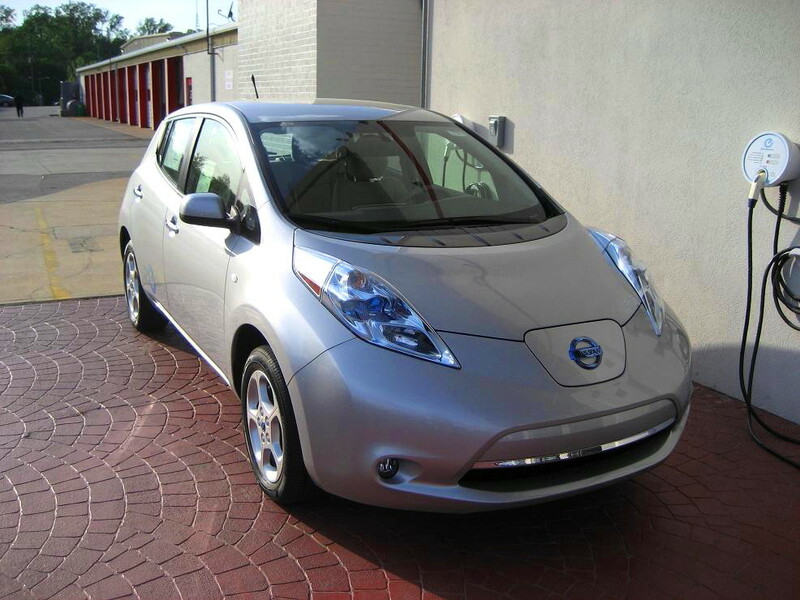 Most importantly, how well did these dealerships actually know these electric cars? Here’s how our hypothetical car buyer’s shopping day turned out. Just as a note: we’ll be discussing the price of these cars without government subsidies simply because they won’t always be available and because EV’s will have to compete on even ground with regular cars if they’re going to penetrate the US market.